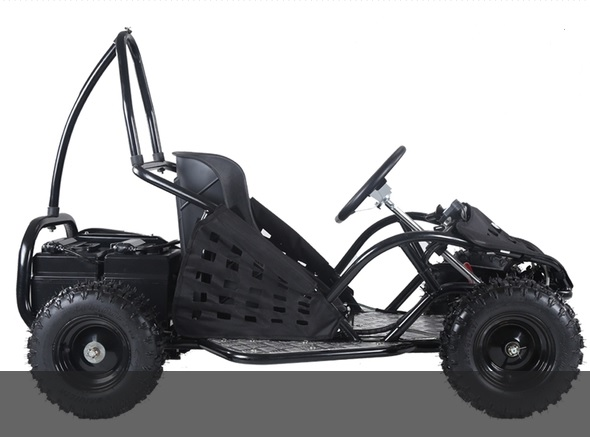 Home > Offroad Products > Go Karts - Buggies - UTV Side by Sides > 110cc to 200cc Youth Go Karts > Kicker EX1000 Electric Go Kart - 48 Volts - Speeds to 16mph! Calif Legal! 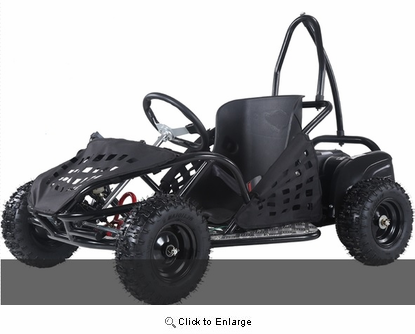 Kicker EX1000 Electric Go Kart - 48 Volts - Speeds to 16mph! Calif Legal! Fast Free Shipping! Free Gloves & Goggles! FREE SHIPPING! / Lowest Price Guaranteed!! / FREE MX Gloves & Goggles!!! 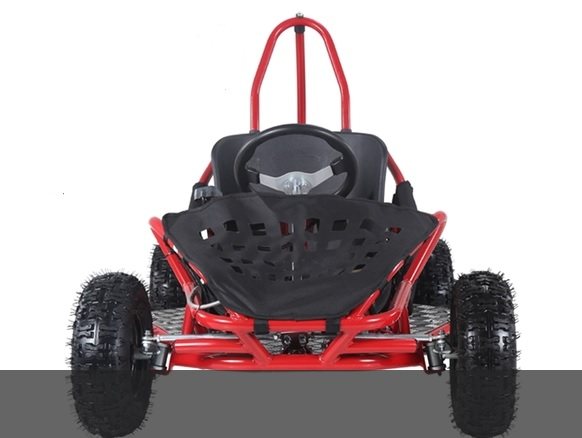 This awesome 48volt, 1000 watts peak & 800 WATTS Continous of pure Go Kart power, is the ultimate kids ride! Great for driveway and backyard fun, Speed through dirt trails with ease. 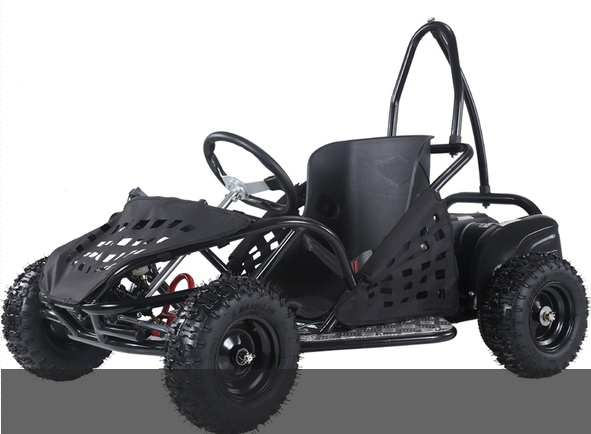 Comes standard with a full suspension, rear Disc brakes and large knobby tires, this Go Kart is the perfect starter Kart! 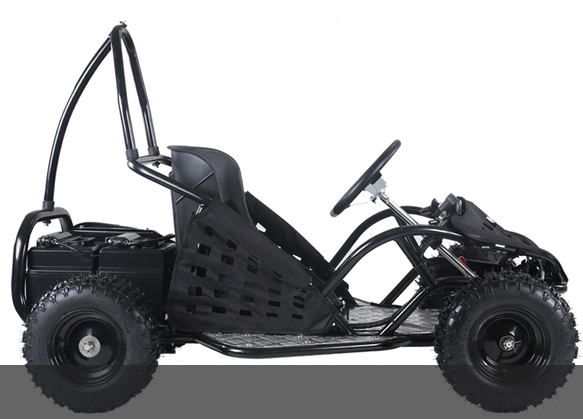 The Kicker EX1000 Go Kart provides longer ride times and much more power than the competition with a large 48v battery. 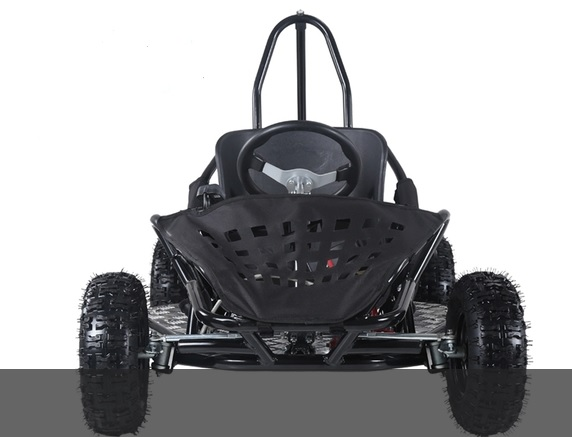 This 1000 Peak Watt Electric Go Kart - Off Road Racer offers a rugged steel frame. 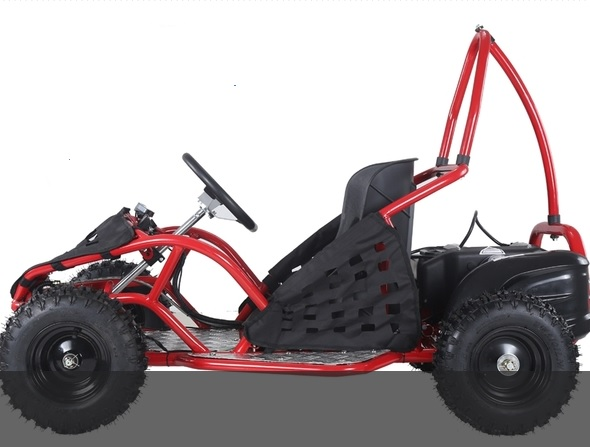 This off road Go Kart is an exciting ride for kids! Parental supervision is made easy using the 3 speed limiter control for use during the learning process. Safety is provided for by the roll bar, disc brakes, seat belt, and speed control. Helmets should be worn. This model is California Legal. - 10, 13 or 16 mph. 1000 Peak Watts = 48 Volt Motor the most powerful in this class! In order to ensure safety at all times, we urge adult supervision when kids are riding this unit!